Julia Astreou-Christoforou is a textile designer (specialising in woven textiles), artist and researcher based in Nicosia. She has a BA Honours degree in Textiles/Fashion Design from the Winchester School of Art (UK). Julia went on to complete a 'Structure, Material and Colour' course at the National Superior School of Paris to broaden her understanding of art and textiles. She previously worked at the Cyprus Handicraft Service for twenty-one years and has done extensive research on Cypriot textiles. Julia was the textiles advisor for two films on traditional Cypriot weaving and Lefkara lace ("Weaving Ladies of Cyprus"  and "Lefkara Lace" ). 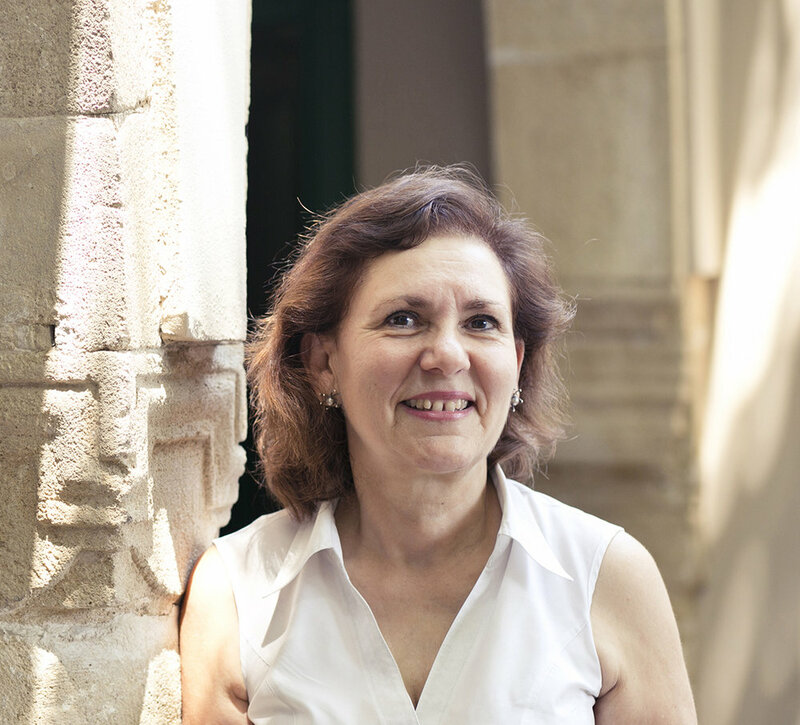 Her enthusiasm for traditional Cypriot textiles led to the creation of the Cyprus Textile Route website and booklet, created in cooperation with the European Textiles Network. Julia has also had solo painting exhibitions in Nicosia and has represented Cyprus in renowned textile art exhibitions in Europe, including the International Tapestry Triennial in Lodz, Poland and La Borsa Accessorio Necessario in Florence, Turin and Antwerp. She has also created theatrical costumes for the Epidavros Festival in Greece through the Cyprus National Theatrical Organisation. in 2010 she was awarded a silver medal from the 'Sciences, Arts and Letters' organisation in Paris for her work in textile art and design, as well as her research into traditional textiles. Julia is available for commissions and enjoys working collaboratively with customers to produce unique, personal creations.